Bring your family and friends to Heritage’s Easter Egg Hunt on Saturday, April 20 at 10 AM! 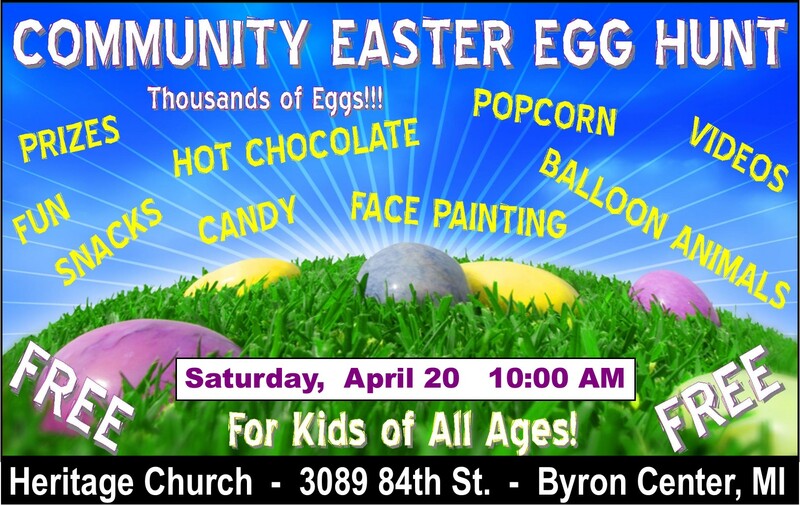 Kids of all ages come and hunt for thousands of eggs filled with candy and prizes! Come for a free, fun family time full of prizes candy, snacks, and fun activities. Your kids are sure to have a blast! In the event of inclement weather, the event will be moved indoors. See you on Saturday, April 20 @ 10 AM!